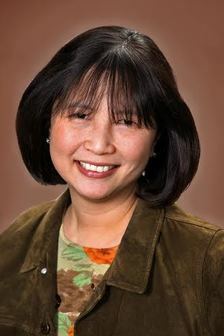 A dermatologist serving the Boston area, Dr. Kay Shou-Mei Kane graduated from Harvard Medical School. She is board-certified in dermatology, and trained in the Harvard Combined Dermatology Training Program at the following institutions: Massachusetts General Hospital, Brigham and Women's Hospital, Boston Children's Hospital, Beth Israel Deaconess Medical Center, The Dana Farber Cancer Institute, Cambridge City Hospital, Harvard Vanguard Group, and the VA Hospitals. Before becoming a practicing Belmont & Cambridge area dermatology specialist, Dr. Kane completed an internship at Boston Children's Hospital and is currently on the active staff at Boston Children's Hospital, Brigham and Women's Hospital, Mt. Auburn Hospital and St. Elizabeth’s. Dr. Kane has an appointment as an Associate Professor of Dermatology at Harvard Medical School. She is the first author of the premier textbook in pediatric skin disease: Color Atlas and Synopsis of Pediatric Dermatology, which has been translated in over 5 languages and she is now working on the third edition. She has also co-authored CD-ROM on: The Oral and Cutaneous Manifestations of HIV Disease. Dr. Kane is an active member of several professional organizations including the American Academy of Dermatology, the Society for Pediatric Dermatology, the Dermatology Foundation, and the New England Dermatology Society. She has lectured to medical students as well as physicians on dermatologic topics such as pediatric skin care and infectious diseases. She is also the recipient of the annual Harvard Teaching Award and listed as one of the Top Doctors of Boston for 5 consecutive years in Boston Magazine. Before medical school Dr. Kane lived and went to school in the Newton area. She graduated with honors from Williams College and Harvard Medical School. For four years she served as a Teaching Fellow, Pre-Medical Advisor and Residential Tutor at Eliot House for Harvard College undergraduates. Her special interests include pediatric dermatology, general dermatology and dermatologic surgery. Want to know more about a particular skin problem? melanoma, which is the most serious of skin cancer. All three major types of skin cancer are on the rise — but most skin cancers can be prevented by limiting or avoiding exposure to ultraviolet (UV) radiation and by paying attention to suspicious changes in your skin. And with early detection, you can receive successful treatment for most skin cancers, even the most aggressive forms. Skin cancer develops primarily on areas of sun-exposed skin, including the scalp, face, lips, ears, neck, chest, arms and hands, and on the legs in women. But it can also form on areas that rarely see the light of day — your palms, beneath your fingernails, the spaces between your toes or under your toenails, and your genital area. Skin cancer affects people of all skin tones, including those with darker complexions. When melanoma occurs in those with dark skin tones, it's more likely to occur in areas not normally considered to be sun-exposed. This is the most serious form of skin cancer and the one responsible for most skin cancer deaths. 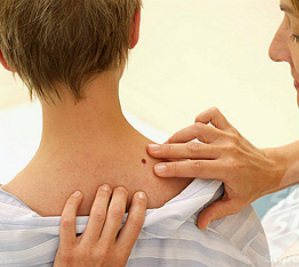 Melanoma can develop anywhere on your body, in otherwise normal skin or in an existing mole that turns malignant. Melanoma most often appears on the trunk, head or neck of affected men. In women, this type of cancer most often develops on the arms or legs. Precancerous skin lesions, such as an actinic keratosis, also can develop into squamous cell skin cancer. Actinic keratoses appear as rough, scaly, brown or dark-pink patches. They're most commonly found on the face, ears, lower arms and hands of fair-skinned people whose skin has been damaged by the sun. Not all skin changes are cancerous. The only way to know for sure is to have your skin examined by your doctor or dermatologist. Melanocytes — which produce melanin, the pigment that gives skin its normal color — are located in the lower part of your epidermis. Melanocytes produce more melanin when you're in the sun to help protect the deeper layers of your skin. Extra melanin produces the darker color of tanned skin. Normally, skin cells within the epidermis develop in a controlled and orderly way. In general, healthy new cells push older cells toward the skin's surface, where they die and eventually are sloughed off. This process is controlled by DNA — the genetic material that contains the instructions for every chemical and biological process in your body. Skin cancer occurs when this process malfunctions. When DNA is damaged, changes occur in the instructions, which can cause new cells to grow out of control and form a mass of cancer cells. Much of the damage to DNA in skin cells results from ultraviolet (UV) radiation found in sunlight and in commercial tanning lamps and tanning beds. UV light is divided into three wavelength bands — ultraviolet A (UVA), ultraviolet B (UVB) and ultraviolet C (UVC). Only UVA and UVB rays reach the earth. UVC radiation is completely absorbed by atmospheric ozone. At one time scientists believed that only UVB rays played a role in the formation of skin cancer. And UVB light does cause harmful changes in skin cell DNA, including the activation of oncogenes — a type of gene that, when turned on, can turn a normal cell into a malignant one. UVB rays are responsible for sunburn and for many basal cell and squamous cell cancers. But UVA also contributes to skin cancer. It penetrates the skin more deeply than UVB does, even through window glass, weakens the skin's immune system and increases the risk of cancer, especially melanoma. Tanning beds deliver high doses of UVA, which makes them especially dangerous. Sun exposure doesn't explain melanomas or other skin cancers that develop on skin not ordinarily exposed to sunlight. Heredity may play a role. Skin cancer can also develop from exposure to toxic chemicals or as a result of radiation treatments. Fair skin. Having less pigment (melanin) in your skin provides less protection from damaging UV radiation. If you have blond or red hair, light-colored eyes, and you freckle or sunburn easily, you're much more likely to develop skin cancer than is a person with darker features. A history of sunburns. Every time you get sunburned, you damage your skin cells and increase your risk of developing skin cancer. After a sunburn, your body works to repair the damage. Having multiple blistering sunburns as a child or teenager increases your risk of developing skin cancer as an adult. Sunburns in adulthood also are a risk factor. Excessive sun exposure. Anyone who spends considerable time in the sun may develop skin cancer, especially if your skin isn't protected by sunscreen or clothing. Tanning also puts you at risk. A tan is your skin's injury response to excessive UV radiation. Precancerous skin lesions. Having skin lesions known as actinic keratoses can increase your risk of developing skin cancer. These precancerous skin growths typically appear as rough, scaly patches that range in color from brown to dark pink. They're most common on the face, lower arms and hands of fair-skinned people whose skin has been sun damaged. A family history of skin cancer. If one of your parents or a sibling has had skin cancer, you may be at increased risk of the disease. Some families are affected by a condition called familial atypical mole-malignant melanoma (FAMMM) syndrome. The hallmarks of FAMMM include a history of melanoma in one or more close relatives and having more than 50 moles — some of which are atypical. Because people with this syndrome have an extremely high risk of developing melanoma, frequent screening for signs of skin cancer is crucial. 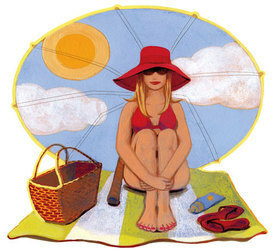 A personal history of skin cancer. If you developed skin cancer once, you're at risk of developing it again. Even basal cell and squamous cell carcinomas that have been successfully removed can recur in the same spot, often within two to three years. A weakened immune system. People with weakened immune systems are at greater risk of developing skin cancer. This includes people living with HIV/AIDS or leukemia and those taking immunosuppressant drugs after an organ transplant. Fragile skin. Skin that has been burned, injured or weakened by treatments for other skin conditions is more susceptible to sun damage and skin cancer. Certain psoriasis treatments and eczema creams might increase your risk of skin cancer. Exposure to environmental hazards. Exposure to environmental chemicals, including some herbicides, increases your risk of skin cancer. Age. The risk of developing skin cancer increases with age, primarily because many skin cancers develop slowly. The damage that occurs during childhood or adolescence may not become apparent until middle age. Still, skin cancer isn't limited to older people. Basal cell and squamous cell carcinomas are increasing fastest among women younger than 40. If you notice any suspicious change in your skin, consult your doctor right away. As with most cancers, early detection increases the chances of successful treatment. Don't wait for the area to start hurting — skin cancer seldom causes pain. See your doctor if you notice a new skin growth, a bothersome change in your skin, a change in the appearance or texture of a mole, or a sore that doesn't heal in two weeks. Your doctor may suspect cancer by simply looking at your skin. But to properly diagnose skin cancer, your doctor or dermatologist will need to take a small sample of your skin (biopsy) for analysis in a lab. A biopsy can usually be done in a doctor's office using a local anesthetic. Local. In this stage, cancer affects only the skin. Metastatic. At this point, cancer has spread beyond the skin. Because superficial skin cancers such as basal or squamous cell carcinoma rarely spread, a biopsy often is the only test needed to determine the cancer stage. But if you have a large growth or one that's existed for some time, your doctor may do further tests to determine the extent of the cancer. Treatment for skin cancer and the precancerous skin lesions known as actinic keratoses varies, depending on the size, type, depth and location of the lesions. Often the abnormal cells are surgically removed or destroyed with topical medications. Most skin cancer treatments require only a local anesthetic and can be done in an outpatient setting. Sometimes no treatment is necessary beyond an initial biopsy that removes the entire growth. Freezing. Your doctor may destroy actinic keratoses and some small, early skin cancers by freezing them with liquid nitrogen (cryosurgery). The dead tissue sloughs off when it thaws. The treatment may leave a small, white scar. You may need a repeat treatment to remove the growth completely. Excisional surgery. This type of treatment may be appropriate for any type of skin cancer. Your doctor cuts out (excises) the cancerous tissue and a surrounding margin of healthy skin. A wide excision — removing extra normal skin around the tumor — may be recommended in some cases. To minimize or avoid scarring, especially on your face, you may need to consult a doctor skilled in skin reconstruction. Laser therapy. A precise, intense beam of light vaporizes growths, generally with little damage to surrounding tissue and with minimal bleeding, swelling and scarring. A doctor may use this therapy to treat superficial skin cancers or precancerous growths on lips. Mohs surgery. This procedure is for larger, recurring or difficult-to-treat skin cancers, which may include both basal and squamous cell carcinomas. Your doctor removes the skin growth layer by layer, examining each layer under the microscope, until no abnormal cells remain. This procedure allows cancerous cells to be removed without taking an excessive amount of surrounding healthy skin. Because it requires special skill, the surgery should be done only by specially trained doctors. Curettage and electrodesiccation. After removing most of a growth, your doctor scrapes away layers of cancer cells using a circular blade (curet). An electric needle destroys any remaining cancer cells. This simple, quick procedure is common in treating small or thin basal cell cancers. It leaves a small, flat, white scar. Radiation therapy. Radiation may be used to destroy basal and squamous cell carcinomas if surgery isn't an option. Chemotherapy. In chemotherapy, drugs are used to kill cancer cells. For cancers limited to the top layer of skin, creams or lotions containing anti-cancer agents may be applied directly to the skin. Topical drugs can cause severe inflammation and leave scars. Systemic chemotherapy can be used to treat skin cancers that have spread to other parts of the body. Photodynamic therapy (PDT). This treatment destroys skin cancer cells with a combination of laser light and drugs that makes cancer cells sensitive to light. Photodynamic therapy for precancerous skin lesions is currently available by prescription. If you have PDT, you will need to avoid direct sunlight for at least six weeks after treatment. Biological therapy (also called immunotherapy). Immunotherapy medications such as interferon and interleukin-2 are under study to treat melanoma and nonmelanoma skin cancers. These types of drugs stimulate your immune system to fight cancer. Other medications applied to your skin, such as imiquimod (Aldara), enhance your immune reaction to skin cancer. Avoid the sun between 10 a.m. and 4 p.m. Because the sun's rays are strongest during this period, try to schedule outdoor activities for other times of the day, even in winter or when the sky is cloudy. You absorb UV radiation year-round, and clouds offer little protection from damaging rays. Remember, sunburns and suntans cause skin damage that can increase your risk of developing skin cancer. 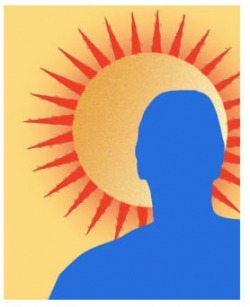 Sun exposure accumulated over time also may cause skin cancer. Wear sunscreen year-round. Sunscreens don't filter out all harmful UV radiation, especially the radiation that can lead to melanoma. But they play a major role in an overall sun protection program. Sunscreens that contain ingredients such as titanium dioxide and mexoryl do a better job at blocking UVA rays. Choose a broad-spectrum sunscreen that has a sun protection factor (SPF) of at least 15. Use a generous amount of sunscreen on all exposed skin, including your lips, the tips of your ears, and the backs of your hands and neck. For the most protection, apply sunscreen 20 to 30 minutes before sun exposure and reapply it every two hours throughout the day, as well as after swimming or exercising. Apply sunscreen to young children before they go outdoors, and teach older children and teens how to use sunscreen to protect themselves. Keep sunscreen in your car as well as with your gardening tools, and sports and camping gear. Wear protective clothing. Sunscreens don't provide complete protection from UV rays. That's why it's a good idea to also wear dark, tightly woven clothing that covers your arms and legs, and a broad-brimmed hat, which provides more protection than a baseball cap or visor does. Some companies also sell photoprotective clothing. A dermatologist can recommend an appropriate brand. Don't forget sunglasses. Look for those that block both UVA and UVB rays. Avoid tanning beds and tan-accelerating agents. Tanning beds emit UVA rays, which may be as dangerous as UVB rays — especially since UVA light penetrates deeper into your skin and causes precancerous skin lesions. 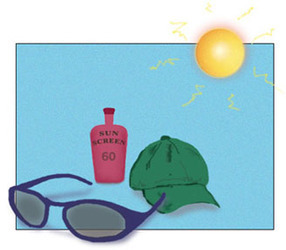 Be aware of sun-sensitizing medications. Some common prescription and over-the-counter drugs — including antibiotics; certain cholesterol, high blood pressure and diabetes medications; birth control pills; nonsteroidal anti-inflammatory drugs such as ibuprofen (Advil, Motrin, others); and the acne medicine isotretinoin (Accutane) — can make your skin more sensitive to sunlight. Ask your doctor or pharmacist about the side effects of any medications you take. If they increase your sensitivity to sunlight, be sure to take extra precautions. Check your skin regularly and report changes to your doctor. Examine your skin often for new skin growths or changes in existing moles, freckles, bumps and birthmarks. With the help of mirrors, check your face, neck, ears and scalp. Examine your chest and trunk, and the tops and undersides of your arms and hands. Examine both the front and back of your legs, and your feet, including the soles and the spaces between your toes. Also check your genital area, and between your buttocks. Have regular skin exams. Consult your doctor for a complete skin exam every year if you're older than 40, or more often if you're at high risk of developing skin cancer. D is for diameter. Look for growths that are larger than about 1/4 inch (about 6 millimeters). © 1998-2010 Mayo Foundation for Medical Education and Research (MFMER). All rights reserved. A single copy of these materials may be reprinted for noncommercial personal use only.